Mafeking Amateur Radio Group will be providing an integrated activity base for Cohen Shield at Mafeking Rover Park this year. Sign up for the event and catering here! 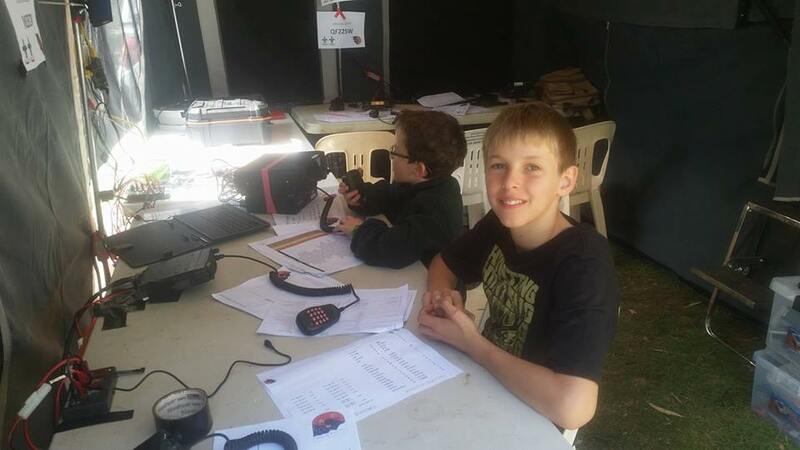 While integrated with the wider event, the fun to be had with Amateur Radio is open to all Rover and non-Rovers to participate and deliver the activity to Youth Members. It’s a great opportunity to see what Amateur Radio offers, and have a chat and provide a little service to fellow Scouters along the way! All are welcome, including adults and youth. The Radio site is 18+ only from 5pm each evening, so there’s plenty of adult time to chat about radio and how we operate without distracting the Youth Program. Catering is available for $30 for the weekend – complete the form below to register for food by Wednesday, 17 October, 2018. Camping facilities are only available Mt Quafftumbla for radio attendees. Please email vk3byr@gmail.com if you have any questions.